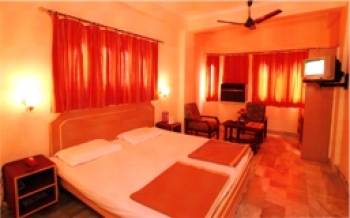 Hotel Arjun offer feel-at-home experience in Haridwar. Featuring an inspiring design, the hotel offers guests an opportunity to be one with the surrounding environment. The hotel also caters the need of devotees visiting Haridwar with its elegant rooms, fine quality of service and an unique experience of hospitality for more than a decade. Arjun hotel is located in prime area of Haridwar near Railway Station, Bus Stand, Har ki Pauri and Main Market of Haridwar. There are Deluxe and Super Deluxe rooms, suitable for budget and convenience both. 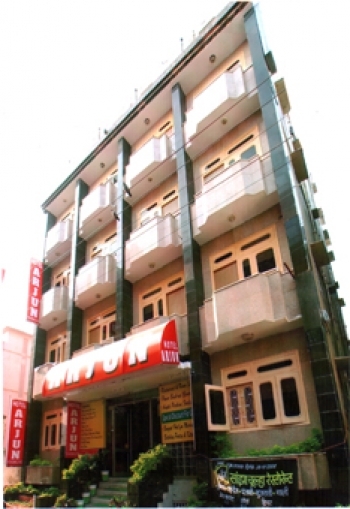 Arjun hotel in Haridwar is located Near Market and very close to the Railway Station and Bus Stand. Har ki Pauri is just 1.5 kms from hotel, Bus Stand and Railway station are just 500m from hotel. There are 34 well-kept Deluxe and Super Deluxe Rooms in Hotel Arjun, which offers comfortable accommodation to the guests. All rooms in Hotel are well decorated, neat & clean and equipped with all necessary facilities.There is multi cuisine restaurant (Sanjha Chulha) in Hotel Arjun which serves delicous vegetarian food. There is multi cuisine restaurant (Sanjha Chulha) in Hotel Arjun which serves delicous vegetarian food. The nearest airport from Hotel Arjun is Jolly Grant Airport (41 km), Rishikesh is 23 km and Mussoorie is just 94 kms from hotel.